Since I've already written at length about Pioneer Woman Cooks, this will be short and statistical. That's actually a very middling performance, now that I look at it, and doesn't reflect the pleasure I took in cooking from this funny book. If I was the kind of gal who called herself a gal and said things were a hoot, I would say this book was a hoot. That's how I imagine PW talks. It would be fun to be able to talk that way, but when you grew up in San Francisco you just can't. Shelf essential? On my shelf, yes. I wouldn't dare speak for yours. 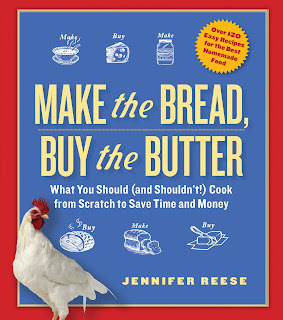 NEXT: Big Sur Bakery Cookbook. I made the sheet cake on Saturday and it disappeared by Sunday night!Awesome! 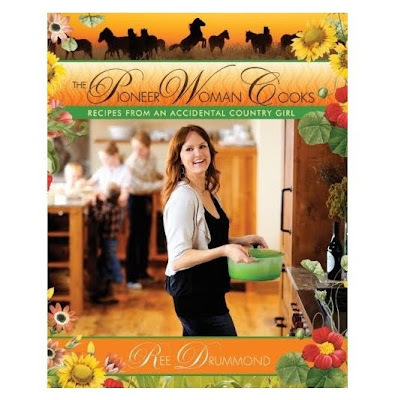 I'm glad The Pioneer Woman could offer you a little cheer during this difficult time. Anonymous -- Moro is coming. How it weighs on my mind. . . Today. Georgia Jewel -- I wish we still had sheet cake. I wish I had the sheet cake, too. I love me some sheet cake. Carrot cake, too, which I think PW makes as a sheet cake. Recipe's on the website(don't know about the cookbook) - "Sigrid's Carrot Cake". Make it, you won't be sorry. But don't mix the pecans into the icing, just sprinkle them on top. I love Ree, because she's a dork and she knows it and just rolls with it. I made the meatballs and my kids liked them (young men, 20 and 28), but I found them awfully sweet. Guess I liked the meatballs but not the sauce! what were the flat out bad ones?